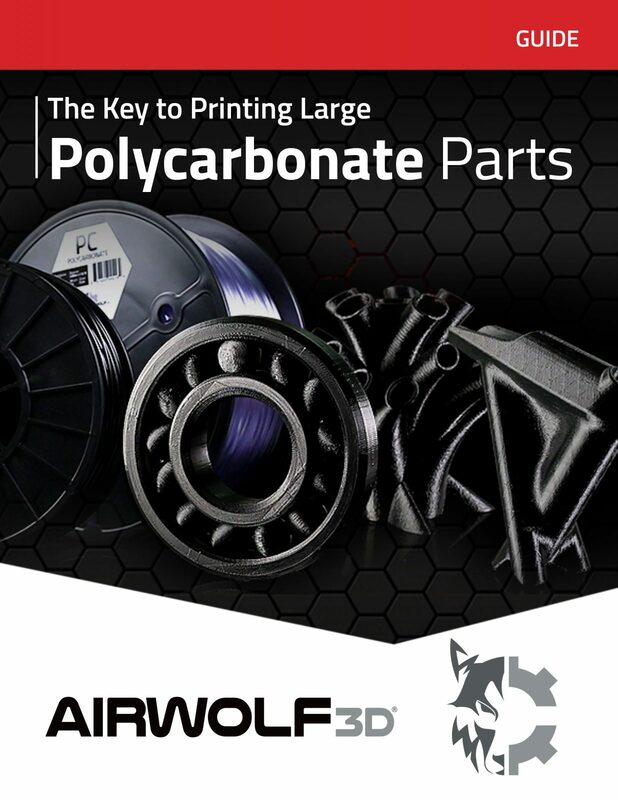 The key to successful 3D prints is good quality material, and with Airwolf 3D’s new line of polycarbonate filament, high quality is no exception. 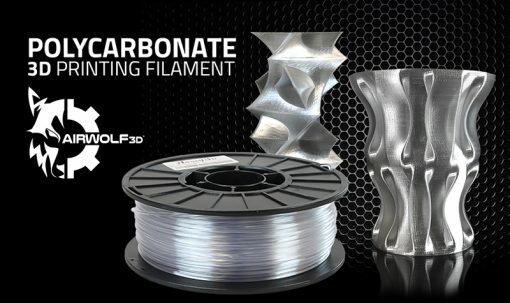 We test each batch of polycarbonate filament ourselves to ensure high standards, absolute top quality and consistent diameter. Available in 2lb ($98.00) and 5lb ($196.00) rolls. Polycarbonate is a thermoplastic that is most prominently known for its incredible strength and impact resistance. The basis of bulletproof glass, polycarbonate is lightweight and exhibits a translucency that is superior to other Fused Filament Fabrication (FFF) 3D printing materials. Polycarbonate also boasts heat resistance, is flame-retardant, and insulates electricity, making it essential to use in electrical components and hardware. 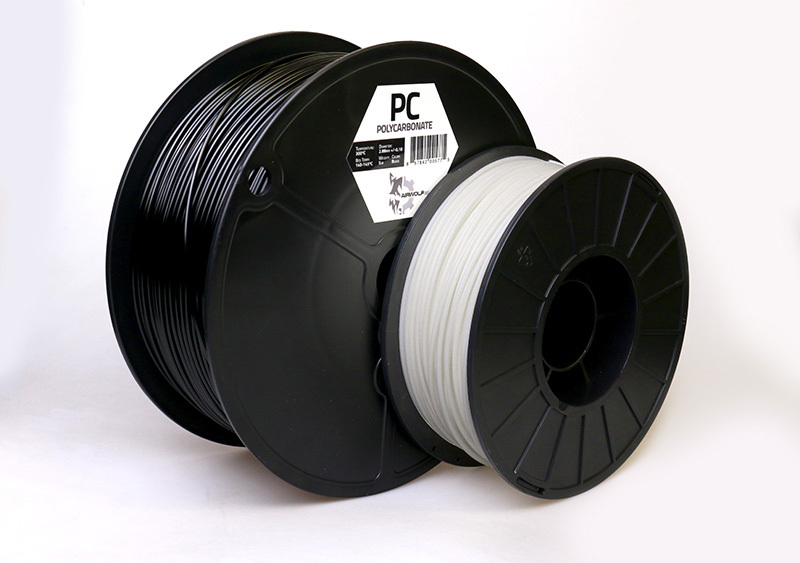 Airwolf 3D’s new polycarbonate filament comes on a sturdy plastic spool, in a thick sealed package with desiccant.